On October 30th the CEID filled with students eager to make Halloween costumes. The CEID staff were prepared and had stocked up on thread, fabric, wood, and countless other supplies. Many people were drawn to the study break by the promise of candy and snacks, and when they saw all of the supplies, they decided to stick around to make a costume as well. As soon as Rachel Lawrence ‘16 discovered the pile of red cloth, she knew she had to make a cape. She decided to be Thor and, in addition to the cape, made gauntlets, wings for a helmet, and of course, a hammer. Stephen Hall ‘14 constructed a full body Buzz Lightyear suit out of paper and poster board and Ellen Su, a CEID Design Fellow, laser cut herself a MakerBot costume! 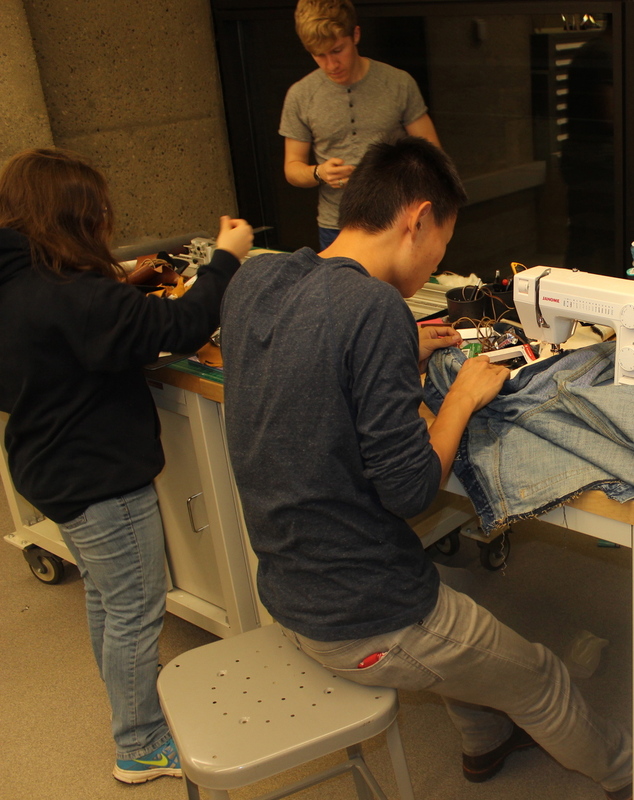 The sewing machine was worked harder than ever before with projects ranging from vests to pumpkin costumes to rip off jeans. The festivities did not end that night either, though the candy disappeared; Nicole De Santis ‘15 was busy sewing her candy corn costume the next morning. The study break provided a chance for students to utilize the CEID’s resources to their fullest in a creative and different way.